Representative Alfred Hart. Born in 1834 in S.C. , he was employed both as a Farmer and Baptist Minister. From 1870 -1872, Alred Hart served in the S.C. House of Representatives from Society Hill. 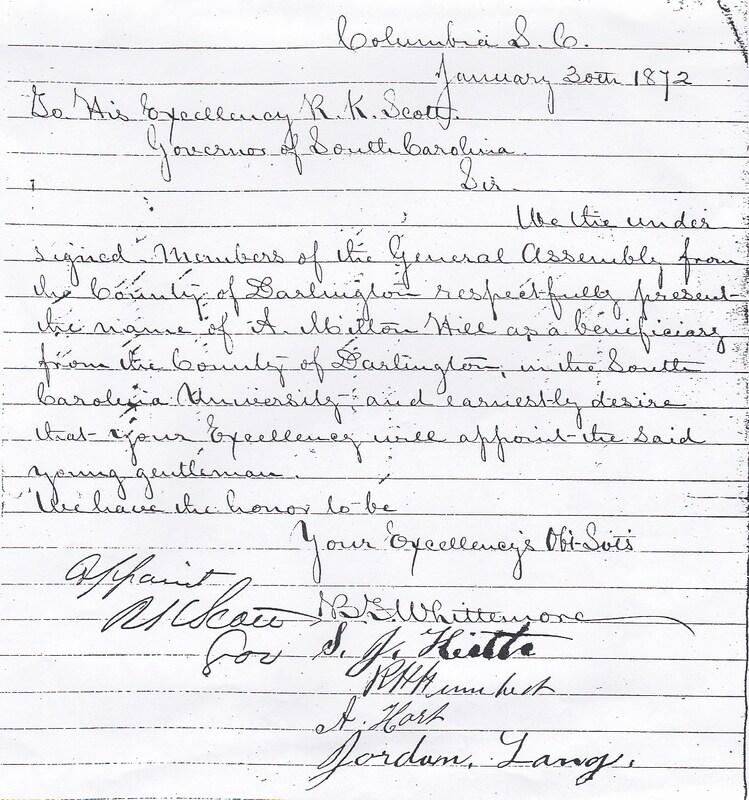 During his tenure in the House of Representatives, he endorsed the children of his constituents desiring higher education at the state’s premiere school – University of South Carolina – such as A. Milton Hill on January 30, 1872’ and the incorporation of the Darlington Land Joint Stock and Loan Association. He was an associate minister at Mount Zion Baptist Church, Dovesville, S.C. before assuming full-time duties, replacing his father, Pastor William Hart. He was married to Rhena, and they had two children; Alfred and Alice. 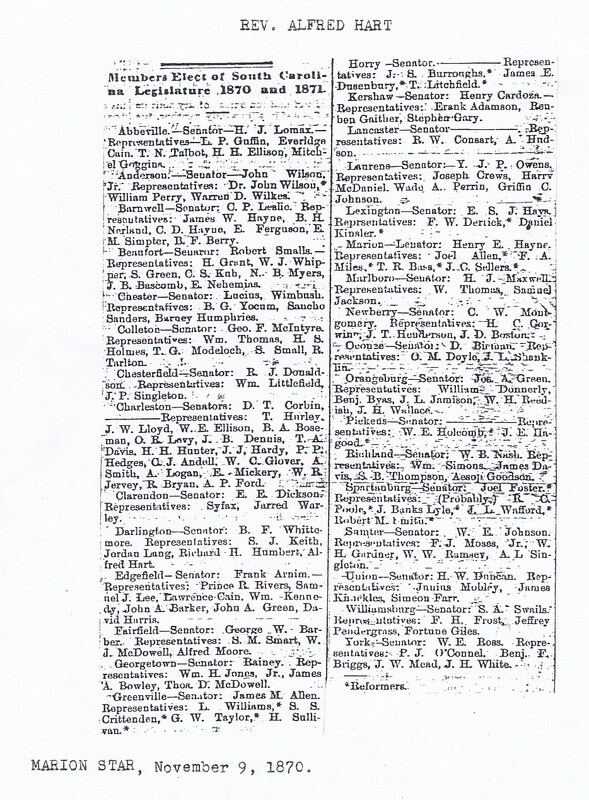 S.C. Legislature Elected Members – Marion Star November 9, 1870. Rep. Alfred Hart’s endorsement of A. Milton Hill to attend USC to Governor Scott. 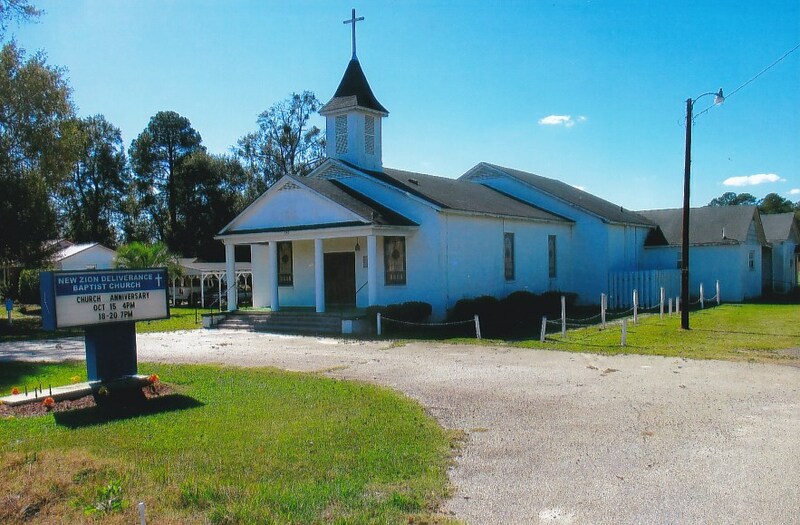 New Zion Deliverance Baptist Church formerly known as Mount Zion Baptist Church.